One Life to Live has nine months until death while All My Children will stop pro-creating in September. ABC announced the impending cancellations of these long-running soaps Thursday, with the network "evolving the face of daytime television" with two new hours called The Chew and The Revolution. The success of ABC's The View "factored into our decision," ABC daytime programming president Brian Frons said in a statement. "While we are excited about our new shows and the shift in our business, I can't help but recognize how bittersweet the change is. We are taking this bold step to expand our business because viewers are looking for different types of programming these days. They are telling us there is room for informative, authentic and fun shows that are relatable, offer a wide variety of opinions and focus on 'real life' takeaways." 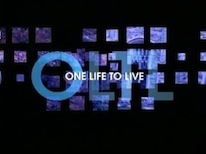 One Life to Live, which premiered on July 15, 1968, will leave ABC in January 2012. All My Children, birthed on Jan. 5, 1970, is getting the heave-ho this September. Their demises will leave General Hospital as ABC's last remaining daytime soap. The Chew, premiering in September, supposedly will focus on food "from every angle -- as a source of joy, health, family ritual, friendship, breaking news, dating, fitness, weight loss, travel adventures and life's moments." Its five hosts will include veteran chef Mario Batali and nutrition expert Daphne Oz. The Revolution, coming in January, will be about "health and lifestyle transformations," with it's so-called "dream team" of experts including fashion gadfly Tim Gunn, celebrity trainer Harley Pasternak and former American Idol contestant Kimberly Locke. NBC currently has one daytime soap still standing, Days of Our Lives, while CBS is still airing The Young and the Restless and The Bold and the Beautiful. 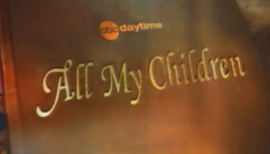 ABC promises that One Life to Live and All My Children both "will sunset in a manner that honors viewers and the shows' creative legacies." They were created by legendary daytime auteur Agnes Nixon, now 83. She likely never thought she'd live to see the day when both would be going under.